Though balms aren’t usually my thing in the summertime, during extreme weather changes (it was in the 60s in Kansas City this week…), my skin needs a little comfort from the changing temperatures. 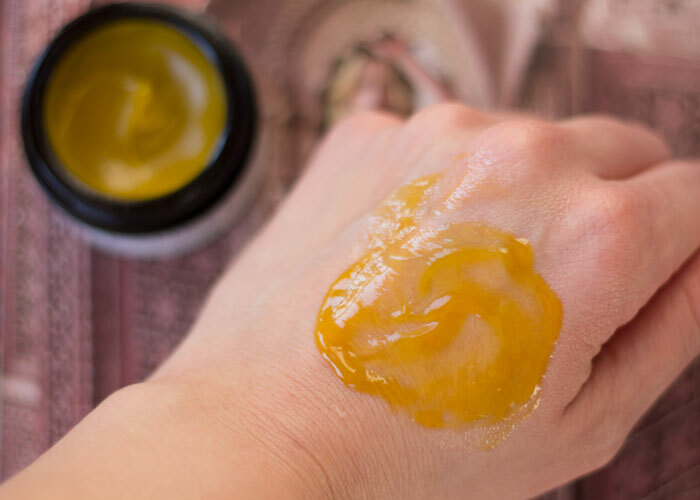 That’s why I’m thankful to have various face balms in my beauty arsenal, but one that really stands out to me is Laurel Whole Plant Organics’ Transform Daily balm. If you read my review of Laurel’s “Restore Nightly” Balm, you know I’m for real when I say how much I love her balms. I recommend them constantly, and have purchased the full sizes of both the day and evening balms for my skincare collection. So that answers the whole “repurchase” question up front. Yes, these are staples. What’s not as clear, though, and I struggled with this myself, is this: Do I really need both of these facial balms? In short, probably not, but I did purchase both because I truly appreciate the formulations behind each of these balms. As you can see, there’s a few different ingredients strategically selected for daytime vs. nighttime application. For the daytime balm, Laurel included organic red raspberry seed and cranberry seed oils, which are known for their natural sun protection properties. 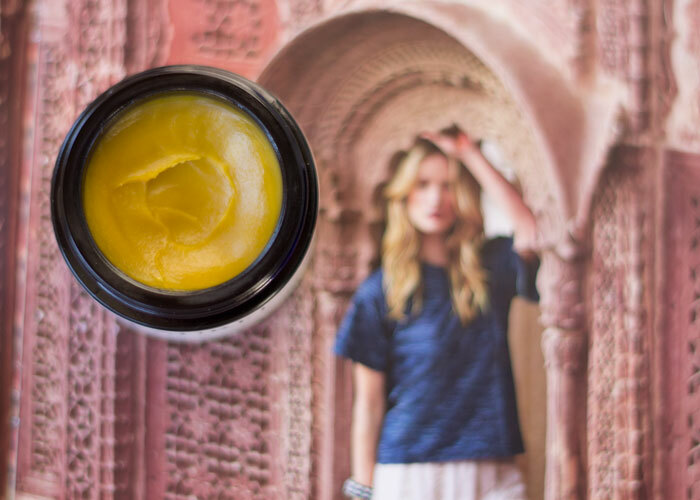 Her evening balm includes tamanu and pomegranate, which help with acne, heals damaged skin and delivers vitamin A. These are perfect for your bedtime regimen, especially the vitamin A-rich pomegranate! And while your skin may be repairing itself all day long, it’s pretty easy to understand that if your skin is shielded from the elements and in a low-stress, low-activity setting (aka dreamland), it can more efficiently heal itself. Essential oils of neroli, carrot seed and lemon balm brighten up the herbal base of the daytime balm, while essential oils of myrrh and rose in the evening balm lull you to dreamland with their comforting aromas. Each balm contains Laurel’s famous in-house biodynamic blend of ingredients designed to protect the skin. It’s quite amazing how many thoughtful, active ingredients she packs into these balms (and her entire line) without it ever feeling — or smelling — like overkill. Like the nighttime balm, Laurel’s daytime balm has the most perfect texture and consistency. It doesn’t take much to have it melt into your skin and glide effortlessly over your face and neck. You can build it up to your skin’s liking (my oily skin just needs a thin layer), or apply it just to your cheeks or other dry patches on your face. I touched on the scent earlier, but this herbaceous blend does have that “brighter” scent thanks to neroli and lemon balm; it’s by no means citrus-y, but it does perk your senses more, especially when you can directly compare the daytime and evening balms side by side. Scent aside (which is typically how people, including myself, choose what to buy), it’s a pretty difficult choice between the two balms. The evening balm does cost $8 more, but if you’re already spending 80 bucks, does it really matter? Get the one you want, price aside. If you’re not really into oils on your face during the day, a daytime balm probably isn’t going to be your thing, so I’d go for the evening balm. But with that said, there’s no one stopping you from using the daytime balm at night and the nighttime balm during the day. That, my friends, is why it all comes down to ingredients — and why you’ve now stopped laughing at my spreadsheet screenshot and are over-analyzing it just as much as I was. Choose the ingredients that speak to you, or the ones that you know work well with your skin. Quite honestly, with Laurel’s balms, you can’t go wrong. 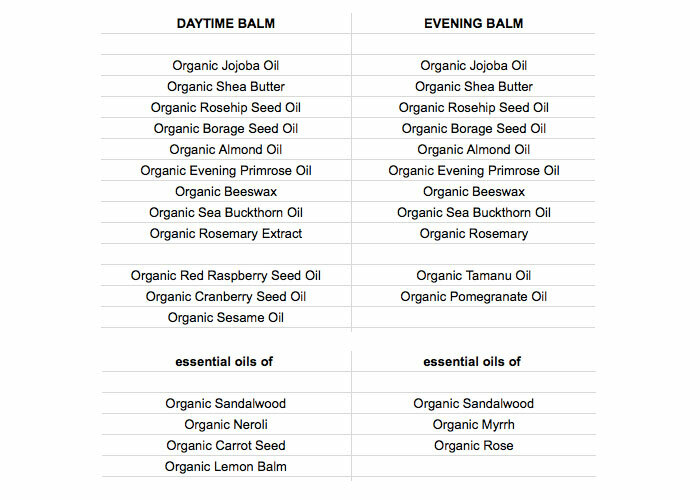 Which balm would you choose and why? Have you tried anything from Laurel’s collection? What ingredients work well for your skin during the day and at night? Tell me in the comments section!